James P Adams has been named new executive director/CEO of the MPIF. 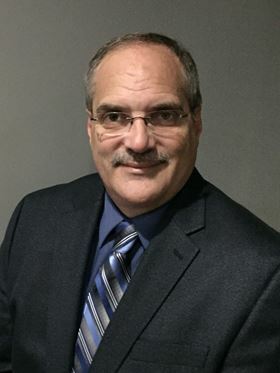 The Metal Powder Industries Federation (MPIF) and APMI International (APMI) have selected industry veteran James P Adams to succeed C James Trombino as executive director/CEO. Adams has worked in the powder metallurgy industry for more than 30 years and began his career with MPIF in 2004 as director of technical services, working closely with the MPIF Technical Board, where he has been responsible for Federation publications, professional development programs, and conference technical programming. Under his direction, the metal injection molding and additive manufacturing with powder metallurgy conferences were developed. He has also served as administrative director for APMI International, and the Center for Powder Metallurgy Technology (CPMT). Adams took on additional roles as administrative director for the Powder Metallurgy Parts Association (PMPA), Metal Powder Producers Association (MPPA), Powder Metallurgy Equipment Association (PMEA), and Isostatic Pressing Association (IPA), all affiliated associations within the MPIF umbrella. Additionally, he has also been MPIF's representative for the Lightweight Innovations for Tomorrow, a National Network for Manufacturing Innovation Institute, to aid in the promotion of lightweight technology development. The Center for Powder Metallurgy (CPMT) has announced the names of the recipients of its CPMT/Axel Madsen conference grants.